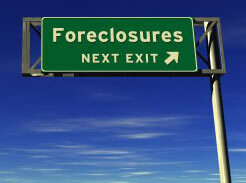 Many Loan modifications only delay an Orange Park Foreclosure or Clay County Foreclosure from happening. Many homeowners are waiting for approval of their the Obama Loan modification who will never see it. It's very difficult to meet the criteria and even if you do it is unlikely to receive a loan modification in Orange Park or Clay county that will be of value or benefit to you and your family. Often the banks will lose your paperwork or look for any technicality to disqualify you from the program. In the mean time, you may have waisted thousands of dollars on their trial programs only to find out that you do not qualify for an Orange Park loan modification that makes sense for you. Banks often have you submit paperwork over and over again while they claim to have never received the loan modification paperwork. This process can go on for months and in some cases years. When the banks do offer modifications, they are often based on inflated values and excess fees. If you look closely at their offer the total payments may not have changed or even be higher than your original payment. Sometimes banks will cut your initial or trial payments but tack on the unpaid amount to the new loan amount. This means you may actually be paying more for your home. If your home is upside down a loan modification may not change the fact that you will be asked to pay more for your home than what it is worth. Are their better options? You should discuss your goals and current situation with an Orange Park Foreclosure Defense Lawyer to see what options you have. BEWARE: Many loan modification agreements include provisions that have you wave rights to claims that may exist. In addition, most short sale agreements allow the banks to come after you later for the difference between the short sale amount and the amount owed under your current loan. If you live in Orange Park or anywhere in Clay county be careful before you sign one of these agreements and do not attempt to do it without representation. If you live in Duval, Clay, St. Johns County or any of the surrounding counties in North Florida, you should carefully review your options before signing any loan modification paperwork. Not every bank or mortgage company has violated the law, but we will be happy to review your documents to let you know if you have claims for damages. Even if you do not have claims for damages, you may be able to rescind your loan and get back all of your closing costs. This may be a much better deal than a loan modification. To know what options you have you should have your documents reviewed by an Orange Park or Clay County Foreclosure Defense Lawyers or Florida Foreclosure Lawyer today.